Sustainability doesn’t stop at the farm. Joining a CSA is neither sprint nor short-run performance – it’s a lifestyle change. (You’re not doing it just because it’s trendy, right?) Check your dreams of instant local food bliss at the door. There’s simply too much work to be done. It’s a good idea to prepare for this long-term effort by dreaming up and adopting sustainable practices for you and your household. By sustainable, I don’t mean environmentally sound. I’m talking about careful stewardship of your household’s most valuable resource: your sanity. The second preseason delivery of 2011 came in an enormous box with plenty of good stuff inside. We’re excited about making peanut butter sandwiches with this bread. We haven’t gone on a good peanut butter sandwich binge in a while. Toast the bread, use local honey instead of jelly, and cut it in quarters for even more bliss. I’ve got about a pound and a half of Sparkman’s butter in our fridge already, so this block is headed to the freezer for now. It’s nice to have butter you feel good about using, but it’s a bit of a pain to measure carefully in this conformation when you’re used to the little sticks and their convenient markings. Good thing I don’t measure butter carefully. My rule of thumb is when in doubt, it needs more butter. Ever since I started eating local food, I’ve had a dream of roasting a free-range, happy-except-for-that-last-day chicken. I’d serve delicious roast chicken, pull the rest of the meat for other dishes, and make stock from the carcass. If you’re going to eat a chicken, it seems only right to use as much of said chicken as you can. But something’s always gone wrong. One time I misread the recipe and dreadfully overcooked the chicken. 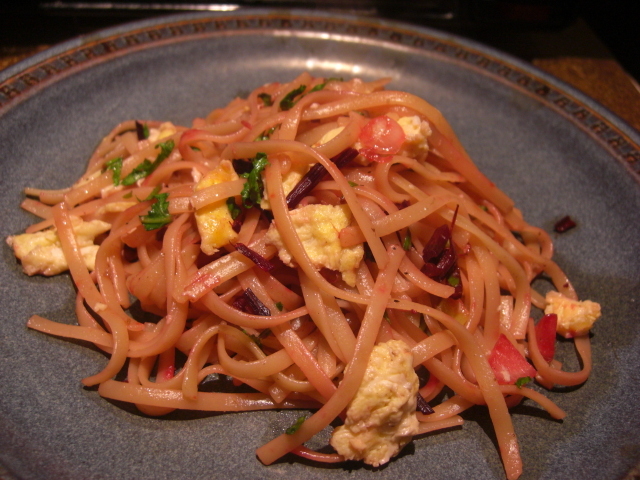 Last time, Chris was too efficient with the kitchen clean-up and tossed the carcass before I could make stock. Kohlrabi is related to cabbage and definitely sports a cabbage-y flavor. 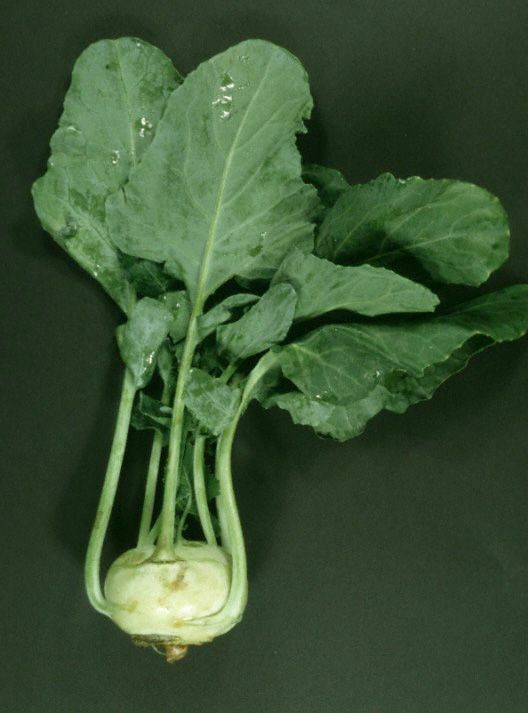 Often kohlrabi comes with stems and leaves attached. 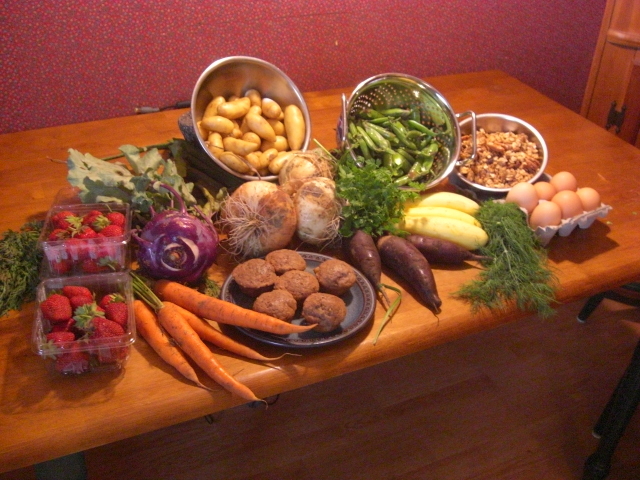 You can sort of see a whole kohlrabi in this picture of a CSA delivery from May 2009. The kohlrabi's the purple thing towards the left laying on its side. But it’s easier to see in this picture from Washington State University’s herbarium. We’re a week into CSA pre-season and our first delivery. This past week, Chris and I have eaten lots of salad. The hydroponic lettuce was a little bitter and not keeping so well from last week’s extreme temps, so we powered through it and finished it at lunch today. Now we’re onto the baby spinach and romaine. The apples are amazing – fresh, crisp, and bursting with flavor! They remind me of my childhood and apple-flavored Jolly Ranchers. (I never understood why that flavor was considered “apple” until I started eating local apples.) Afternoon snacks of apple and Havarti slices have made this a wonderful week. For lunch today, I got the tiniest bit fancy and made sausage-stuffed kohlrabi. Turned out pretty good, but fancy doesn’t do it for me. I wish I had made a casserole-like dish with the same ingredients instead. Tomorrow, I think we’ll have roasted sweet potatoes and Komatsuna greens. Prepping the Komatsuna will leave some large stems that I’ll include in a lo mein stir-fry along with some green onions, cabbage, and my last Asian turnip. 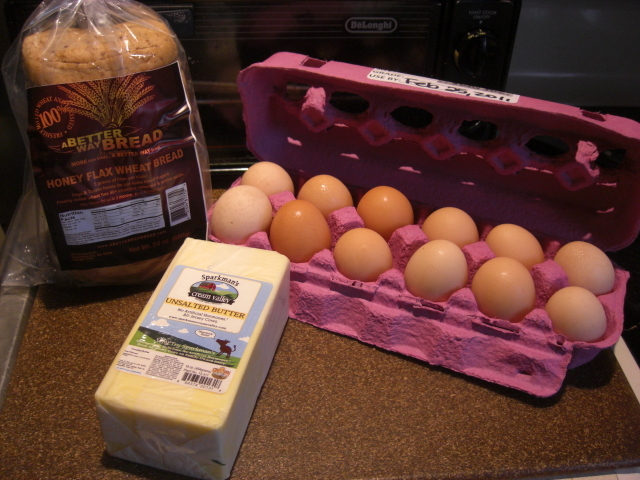 And I want to make French toast with the whole-wheat sourdough bread this weekend.